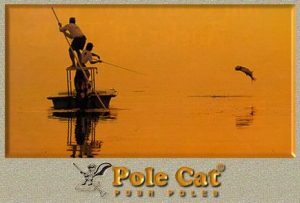 PUSH POLE DELIVERY COSTS DADE AND BROWARD COUNTIES $20.00 FOR ONE OR TWO POLES. NO CHARGE FOR THREE OR MORE POLES IN DADE OR BROWARD COUNTIES. ALL OTHER FLORIDA COUNTIES APPROXIMATELY $ 35.00 BY COMMERCIAL CARRIERS. AIR SHIPMENTS TO MAJOR CITIES $45.00. ADDITIONAL CHARGES MAY APPLY FOR SPECIAL HANDLING. TWO PIECE POLES, STAKE OUT POLES, RODRACKS, AND ACCESSORIES CAN BE SHIPPED BY UPS. ROD RACKS REQUIRE SPECIAL PACKAGING.